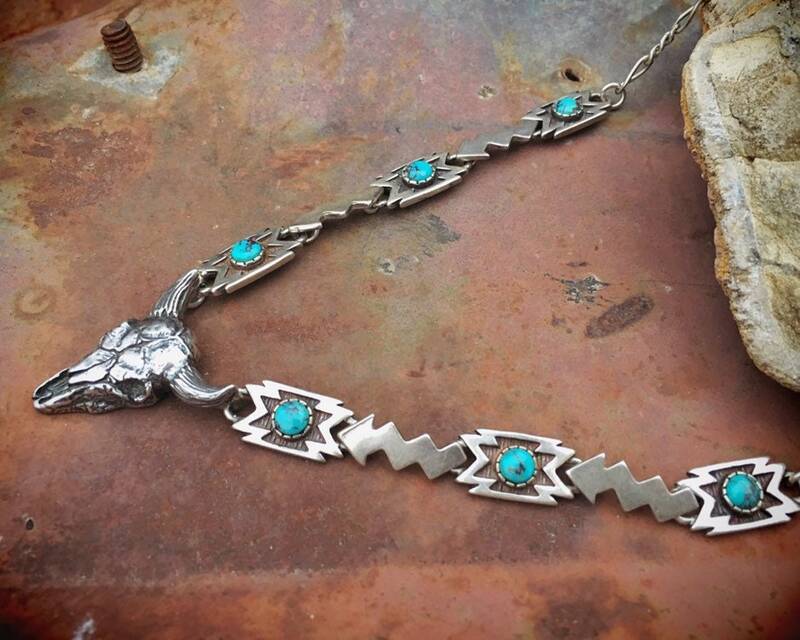 This necklace on heavy chain is quite an exciting find, for a few reasons. 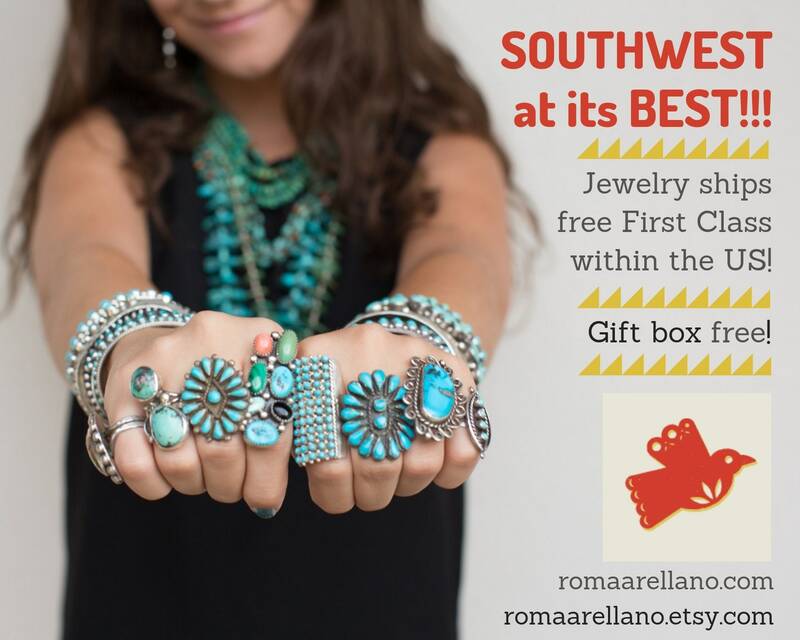 First, it seems like any other piece of Southwestern jewelry. 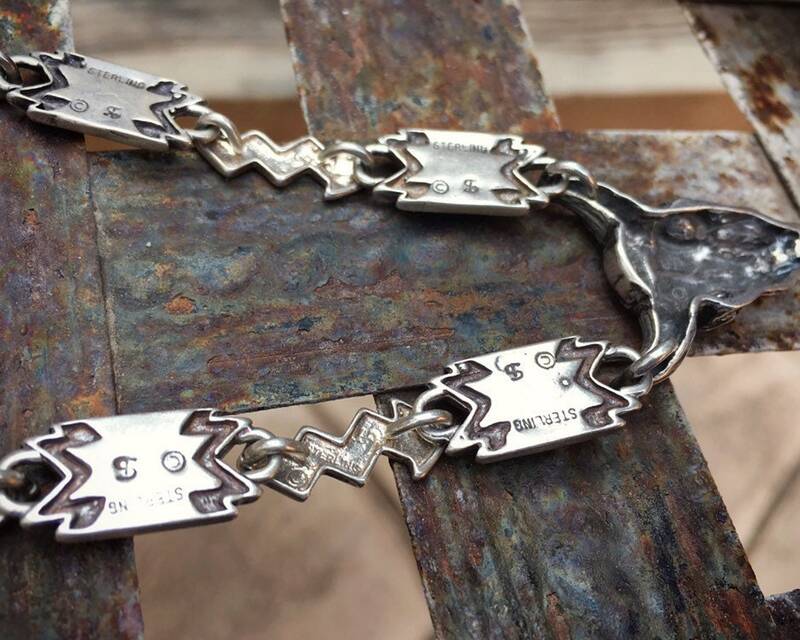 But the hallmark points to this being a piece by Rhode Island jewelry maker C. Sydney Smith & Co, which had a most unusual maker's mark of a dollar sign, or the S with line through it. Sydney Smith & Co. The company operated from 1902-1928. 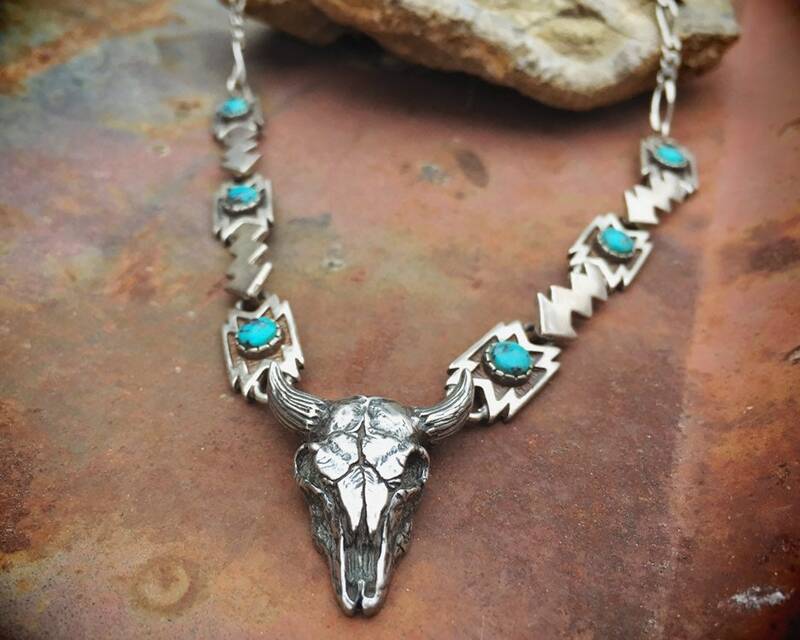 The piece was part of the Fred Harvey Era fascination with the West and Native American culture. 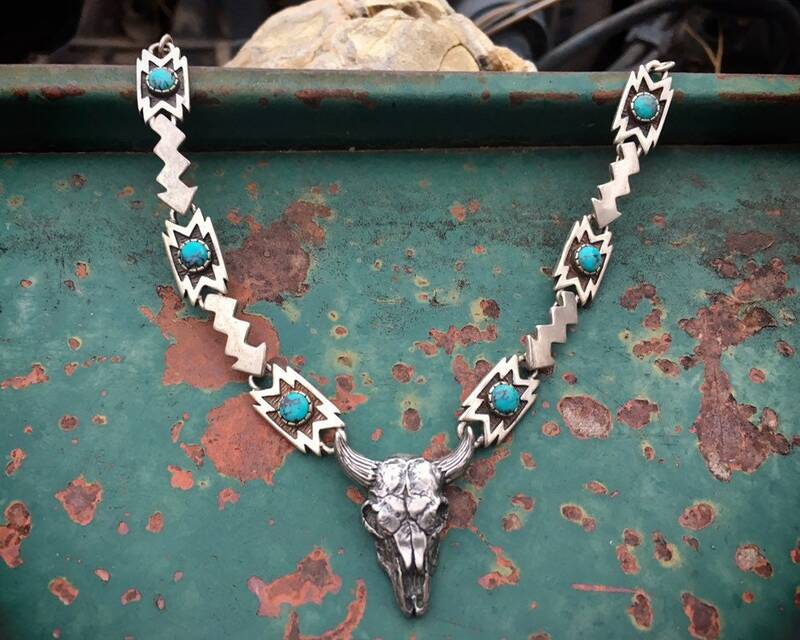 I have found just a few other pieces by this maker that are also Southwestern style, although much of the silver produced by this company was traditional and not Southwestern. 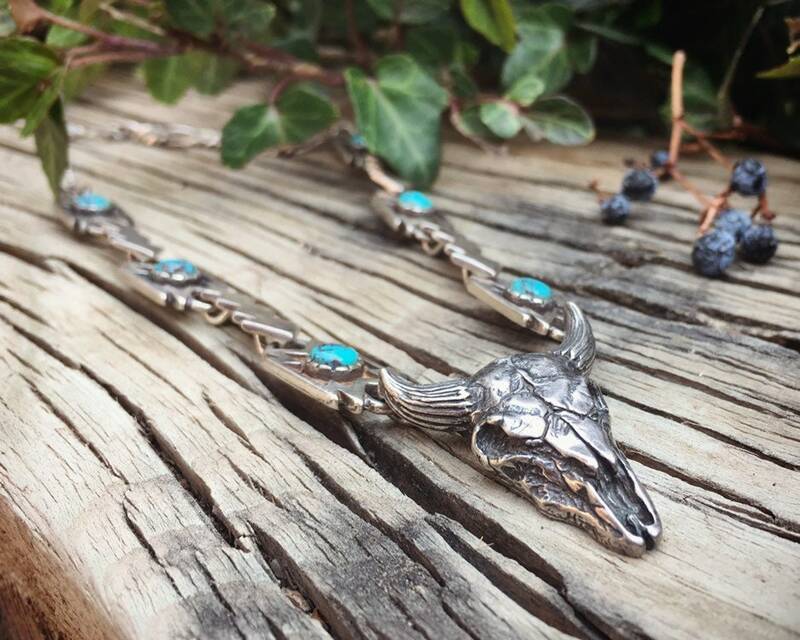 The sterling silver cow skull is flanked on each side by a chain that alternates Saltillo-like icons with black matrixed turquiose round cabocons in the center, then silver lightning style icons, then ends on either side in a more traditional heavy chain. 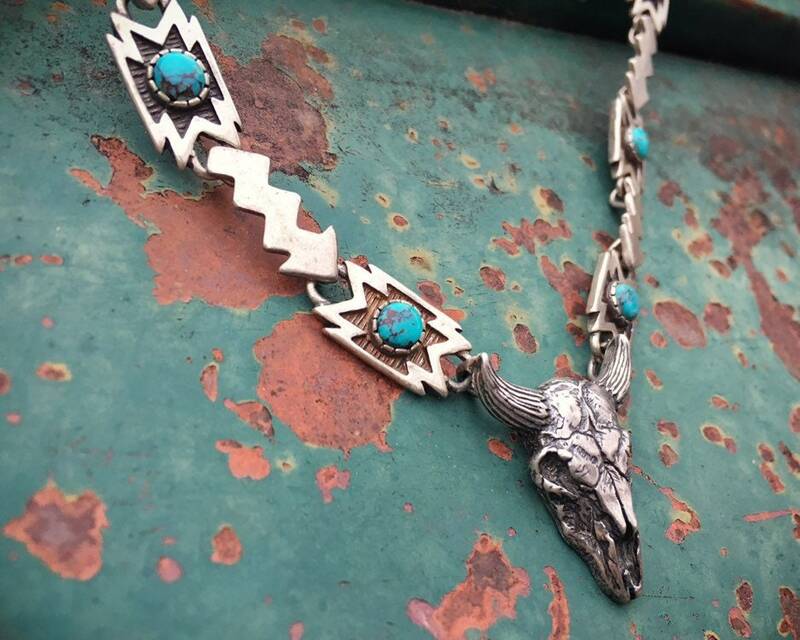 It is a very well made piece, heavy at 30gm, and a most unusual unisex piece for the person who collects vintage Southwestern Americana. 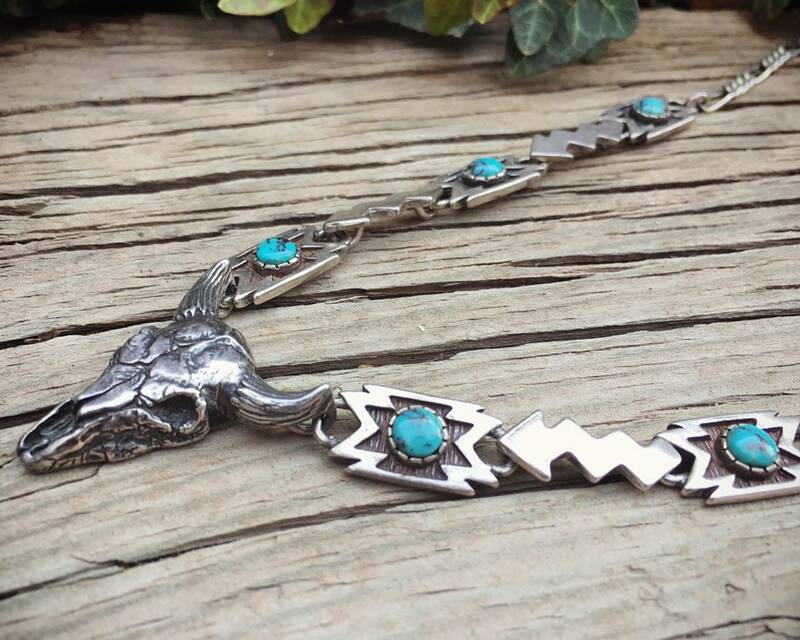 The necklace is 20" total, and the silver cow skull is 1" wide by 1-1/4" long. Stamped on the back in many places with the maker's marks. In good condition. 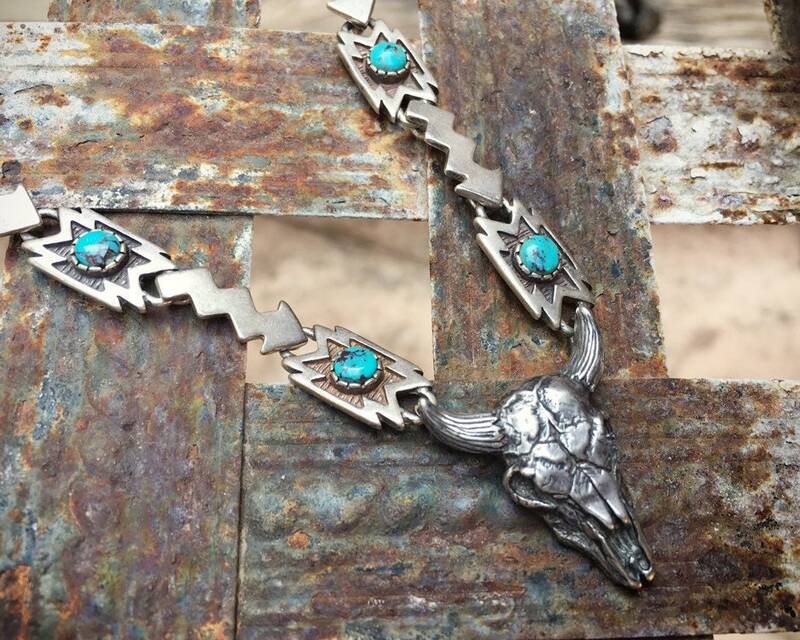 One of a kind Fred Harvey Era piece for the collector.